During the course of construction, California contractors, whether large or small, have different risks. Therefore, contractors throughout California need a professional insurance agent to determine those risks. Casurance Agency Insurance Service, LLC has been helping many contractors and builders to assess these risks and insurance needs. What is Builder's risk insurance ? is "coverage that protects a person's or organization's insurable interest in materials, fixtures and/or equipment being used in the construction or renovation of a building or structure should those items sustain physical loss or damage from a covered cause." Builders Risk coverage offers protection for residential and commercial structures while under construction or renovation. insured by Zurich is the nation's leading inland marine policy for owners and contractors. 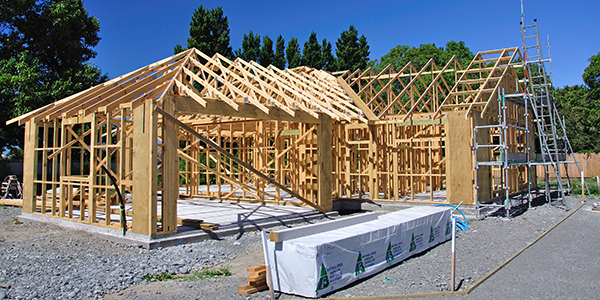 With comprehensive insurance coverage and flexible policy options, our Builders Risk Plan is designed to meet the needs of residential and commercial customers for any project type and size ranging from turnkey and custom build to order to high volume construction, and it can be tailored for even the largest construction project. What creates Builder's risk ? You should obtain builders risk coverage for the total estimated completed value of the project. In general, this amount is the selling price of the home or building minus the cost of the land. Builders can also opt to include a reasonable profit in the coverage amount. What Kind of Builders Risk Policy are there? 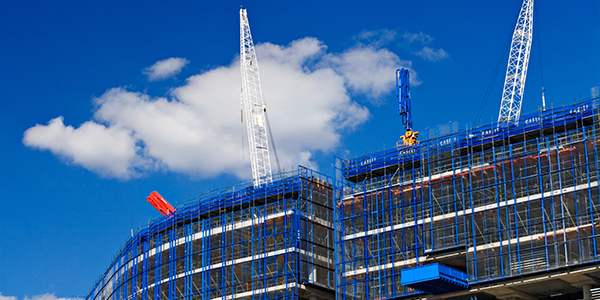 Buildings under construction or renovation are exposed to various risk hazards. Risk managers should consider all risk exposures including, but not limited to, vandalism, fire, theft, wind, lightning, hail, collapse and water damage. Whether it is coverage for the building under construction, materials on site, materials in transit to the work location, or delay in completion, builder’s risk insurance can provide valuable protection for both owner and general contractor. Zurich has been a leading provider of builder’s risk coverage for small to mid- to large-size construction projects up to $50 million and greater in total construction values. Custom homebuilders, general contractors and even property owners often find themselves searching for insurance coverage to protect personal or business projects under construction. Builders risk insurance protects a person's or organization's insurable interest in materials, fixtures and/or equipment to be installed during the construction or renovation of a building or structure should those items sustain physical loss or damage from a covered cause; it is often required to comply with government regulations or as a condition to meeting banking or other contractual arrangements. Builder's risk insures against accidental loss or damage to contractor's’ work and property during the period of construction. Insurance coverages are underwritten by Zurich American Insurance Company and its subsidiaries. A Builders Risk insurance policy that adequately responds to the coverage needs of a specific construction project is often the most effective way to manage the risk of unanticipated costs and delays. Turn to the experts at Casurance Agency Insurance Service, LLC for your builders risk insurance coverages by filling out our quote form or give us a call today at 1-888-254-0089.